Looks like it’s time to head to your closest pet store and empty your wallet because Miranda Lambert‘s new pet collection is now available worldwide. Back in March, we told you about Miranda’s new MuttNation™ Fueled by Miranda Lambert collection of pet products from Petmate®. The line was said to feature apparel, bedding, collars, feeding and watering products, leashes, and toys, all of which would possess a country chic/rock ‘n’ roll feel that exudes Miranda’s personality and look. 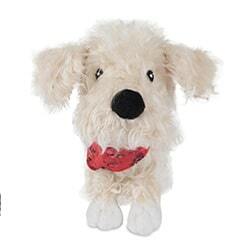 But, in addition to the normal balls, pet clothes, and collars you’d expect, turns out there are also six plush dog toys, each fashioned after one real-life rescue dog, including Miranda’s very own sweetie Delilah. Check out all of the pet items available through the Petmate line here. Just a few must haves from Miranda Lambert’s new MuttNation pet product line. Ray Scott is one of those guys who not everyone has heard of but everyone should definitely take the time to get to know.